The tools you can't get through FRC build season without? What are the tools you can’t get through FRC build season without (or wouldn’t want to)? I asked another question on Facebook and here are the answers. I tried my best to compile the best bits of the conversation and remove duplicates, etc but I probably missed some stuff. Clamp on DC current isn’t as useful as it used to be now that the PDP can read current but it’s still very handy when prototyping. We got this Arbor Press over the summer for around $200 with one of the MSC free shipping and 30% off coupons. Clecos! I’m always amazed how many people don’t know what they are. We don’t do sheetmetal but we use a TON of versaframe and they’re great for that too. Pneumatic air riveter. We go through two or three per season and just get brand new ones under the harbor freight replacement plan. RAGE3 miter saw. Absolutely cannot imagine a season without it. Something simple, but gets very handy: a rubber mallet. Could never build a robot without one. Clevis and air rivet gun cannot be stressed enough. Also never enough Allen key sets for when students inevitably use them. Quality diagonal cutters. Also just a brass cylinder is super useful whenever you need to bang on something but don’t want a mallet. Put a counterbore into one end of the brass cylinder and it’s really nice for when you need to tap on the outer race of a bearing or something. You have no idea how many times I’ve come across snap ring grooves that were created by some bastardized lathe tool. These save so much time. Kant twist are fantastic for clamping sheetmetal. Ok, this one might get some haters, but I love a sharp, quality, step drill for sheet metal work. -RAGE4 chop saw - Much faster and cleaner cuts than a bandsaw. I wouldn’t use this without changing to a blade made for aluminum. -1-2-3 blocks - Use them for mill setups, holding small parts, and much more. They are too cheap to not have. -Automatic center punches - Husky is ok because of the warranty but you can easily get Starrett punches on eBay for under $20 shipped. Cold Saw for nice accurate cuts. 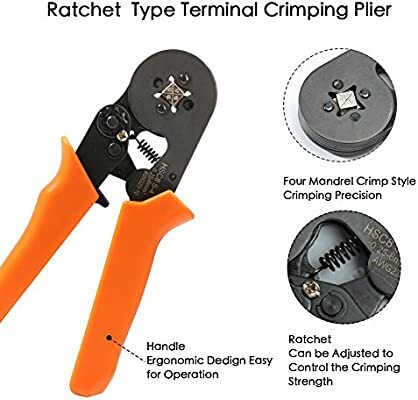 I’ve sworn by these snips, they were very good in d̶e̶s̶t̶r̶o̶y̶i̶n̶g̶ tearing down field zip ties at our local offseason. They’re also sold by Adafruit and probably some other vendors fairly cheaply. A bench vise that’s bolted to a workbench. I bought this one about 4 years ago, it’s still working well. We’ve also used these sometimes as well. Come in handy at events. 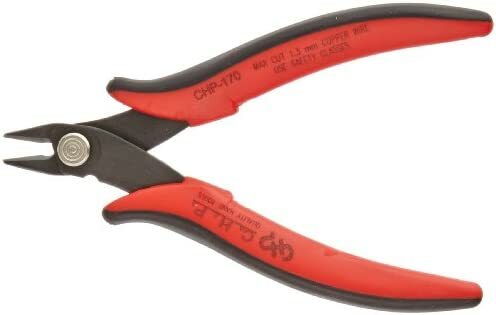 Maybe I’m taking this question too literally and not revealing some hidden gem, but narrow Vice Grip/locking pliers are maybe the most used gripping tool in our shop. These have a modified hex profile that makes them incredibly resistant to stripping - even on tiny sizes of ball end versions. I’ve been using these almost 10 years now, and have yet to strip one. I’ll never buy regular hex keys again after using these. This horizontal bandsaw. It cuts down long metal tubes and has been for the past 5 years. +1 for Allen’s arbor press. We use an ammeter (50A) frequently, to find friction so we can fix it. Does this work well in practice? Seems like the 1/2" hex broach is nearly as long as the “max working height” of the press, which would only let you broach thin stuff. So far yes, the first inch or two of the broach goes into a half inch hole with only light pressure. You could start it in a lathe with no real danger to your bearings or for quick stuff you can start it by hand then press the rest of the way on the press. We drilled a hole in our workbench to allow the broach to fall through. I’ve also heard heard of team’s boring the press to allow the broach to fit inside it for a an inch or two and keep the broach straight. We haven’t done this yet though. A simple set of nail clippers from anywhere is by far the best thing to cut off excessive zip tie length, the concave blade leaves a rounded edge. Bright finish HSS screw machine length drill bits, in bulk quantities, stored in a Huot dispenser cabinet. Why would you ever leave any edge on a cut zip tie? Does anyone in industry seriously use nail clippers for cutting zip ties? I think not. Flush cutters used by competent operators is where it’s at. TS100 Soldering Iron. You can power it off a FRC battery in a pinch. If you think it’s too small for heavy gauge wire, you’d be mistaken. It’s even replaced my Hakko soldering station.